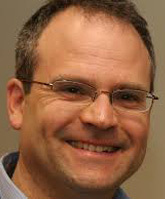 Dr. Ehud Eiran is Assistant Professor of International Relations at the School of Political Science, University of Haifa. Eiran holds degrees in Law and Political Science from Tel Aviv, Cambridge, and Brandeis Universities. He held research appointments at Harvard Law School, Harvard’s Kennedy School, and Brandeis University and was a lecturer at the Department of Political Science at MIT. Prior to his academic career Eiran held a number of positions in the Israeli civil service including Assistant to the Prime Minister’s Foreign Policy Advisor. Eiran has published numerous analytical essays and papers in popular and scholarly outlets including the New York Times, Foreign Affairs, and Newsweek.